“In the long run, no one will buy a car other than a driverless one: owning a vehicle that does not drive itself will be like having a horse. You can keep and use it as a romantic tool, not for daily use.” said Elon Musk, Tesla’s top name. The self-driving car is the bet for the future of car manufacturers, so much so that leading industry players have been investing billions dollars in R&D and in the acquisition of startups which can quickly advance in testing and development thanks to their technologies. By 2019, the driverless car could turn from an investment sector and a fast-growing market (according to a report by Juniper Research, annual sales of driverless vehicles will reach 5 million by 2026 in the U.S.; 20 million globally) into a tangible experience which can be seen on our roads, including Italians. If on the one hand according to FCA the driverless cars are going to have their light in a few years’ time (Fiat Chrysler Automobiles will invest in self-driving at level 3 between 2020 and 2021; only between 2023 and 2025 will it go to level 4), many other players are already working in this sector. That’s all it takes in 2019. The city of Turin will be the city of driverless cars in 2019. The Piedmont municipality and the Ministry of Infrastructure and Transport have signed a protocol to make the city a laboratory of innovation focused on the car of the future. Testing kicked off last November: the mayor Chiara Appendino was the main participant in the first road test of a car without a driver. A short trial run that ended with a “minor glitch”: near the pedestrian crossing of Corso Castelfidardo, the car passed while the traffic light was turning red. Therefore, we are likely to see more and more driverless cars in the urban area chosen by the municipality to build the future of the car during the next year. 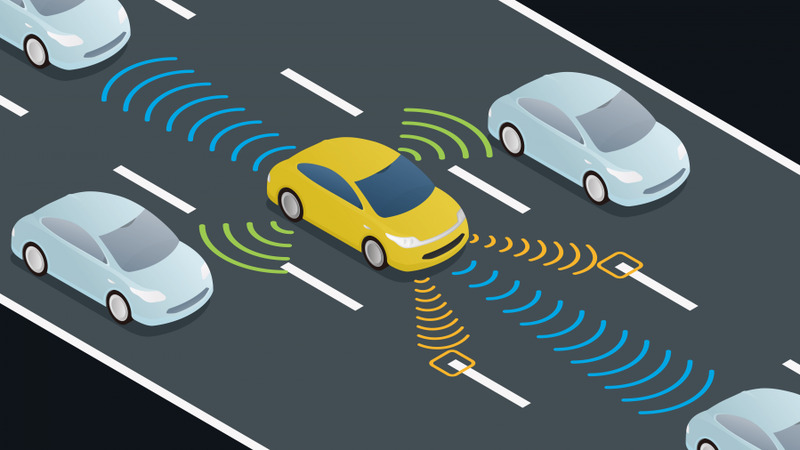 In the city, in fact, a route has been identified where manufacturers and research centers can test driverless cars as well as their systems in a variety of situations. It is an area of 35 km covering the main sites: from Città della Salute to the university, from Palagiustizia to the Porta Nuova and Porta Susa railway stations, up to the Mirafiori and Powertrain plants. Elon Musk’s car manufacturer was the first to market driverless cars, and as early as 2017 the tycoon announced on Twitter that Tesla’s “full independent driving ability” will increase in a few months, and predicted that in a short time one of its cars will be able to drive alone from Los Angeles to New York without the driver having to touch the steering wheel. Musk has also promised that by 2019 his company will launch a level 5 driverless car on the market, the most advanced one, without requiring any human intervention..
General Motors having important projects on driverless cars doesn’t surprise: last May it signed a partnership with Softbank for an investment of 3,30 billion to develop the technologies of driverless car. According to Corcom, Softbank has plucked €2.25 billion into GM Cruise Holdings, the manufacturer’s driverless car division, while GM has invested €1.1 billion in the partnership. According to Ceo GM Mary Barra, the funding will permit the launch of autonomous vehicles as early as 2019. Indeed, next year GM wants to launch the Cruise AV, the car without manual controls. Tests have already begun in Phoenix and San Francisco and, by 2019, the car manufacturer wants to take it on the road beyond the route dedicated to testing. After Miami, where testing began some years ago, the automotive giant chose Washington DC to test its driverless cars, hitherto tested only in suburbs and small towns. By 2019, therefore, Ford aims at bringing unmanned cars into a more complex road environment with pedestrians, other vehicles, scooters, cyclists. The choice of the city seems to be due to the young inhabitants, who are particularly favorable towards innovation and technological transformation. The startup for artificial intelligence, Argo AI, whose Ford invested 1 billion in 2017, has already mapped the city of Washington whose streets will be used by the driverless cars of the American giant.. In early 2019, Volkswagen and Intel will launch a project to bring an electric and driverless taxi service to Israel. Specifically, Volkswagen will supply the electric vehicles, while Mobileye, an Intel subsidiary, will supply hardware and software for Level 4 autonomous driving. A few dozen vehicles will be used next year, followed by hundreds of driverless electric vehicles by 2022. The Volkswagen Group company has announced plans to start next year with the aim to run until the end of 2023: starting in 2019, Audi will invest 14 billion euros in electric mobility, digitalization and driverless systems. The company is “always giving priority to future issues” said the interim CEO, Bram Schot. As CorCom reports, “the company’s total planned investment over the next five years is about 40 billion euros”. San José, the third largest city in California, is the place chosen by Daimler to start testing driverless vehicles in the second half of next year. The German group, in partnership with Bosh, recently entered into an agreement with the Californian city to start trials with Mercedes S-Class driverless cars. “We’ll have our driverless cars on the roads, I think, within the next 18 months. Not only for testing technology, but also for their use in the real world”: The first driverless taxis were introduced on public roads at the beginning of 2018, according to Dara Khosrowshahi, CEO of Uber. Scheduled time: around mid-2019. Last spring, the passenger transport company suspended the service of driverless vehicles after the accident that caused the death of a woman in Arizona: the trials underway in Tempe, Pittsburgh, San Francisco and Toronto had been frozen. Then, during the summer, the San Francisco company had restarted the tests on autonomous driving, albeit with a driver behind the steering wheel. At the end of August, Uber received half a billion dollars from Toyota which considered the alliance with the San Francisco company, an opportunity to speed up on the autonomous driving. The investment involves the integration of technologies on vehicles specifically designed by Toyota and part of the Uber fleet. The fleet will be called “Autono-MaaS” (autonomous-mobility as a service) and will be based on Toyota’s Sienna minivan platform. Specifically, the Uber’s Autonomous Driving System and Toyota’s Guardian safety support system will be integrated into the vehicles. The introduction of Japanese technology, however, will begin in 2021. Waymo, a company belonging to the Google “gallery”, is one of the leaders in the autonomous driving sector since its inception, and its fleet of driverless vehicles have already covered over 16 million kilometres on the road and a further 11 million “virtual” kilometres in simulations. The company, which analysts estimate could be worth close to $175 billion, is also one of the few companies in the industry to have an independent ride sharing program in place in Phoenix, Arizona: The Early Rider Program allows the population to use driverless vans, currently completely free, in the same way that they would use a taxi, even if the pricing options are being investigated. 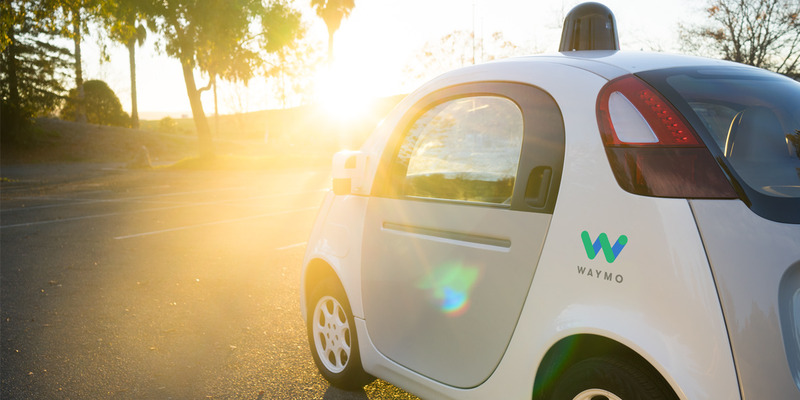 The commercial version of the program is expected to be released, according to Waymo’s plans, in several other cities in 2019, thus becoming the company with the largest driverless ride hailing operating service.